A very famous handset Samsung Galaxy Ace 3 Duos GT-S7272 will soon hit the Indian market. The specification and features of the handset are already known, but still there is no word to say about its price in India. The device was announced in June, it would go on sale before the November. 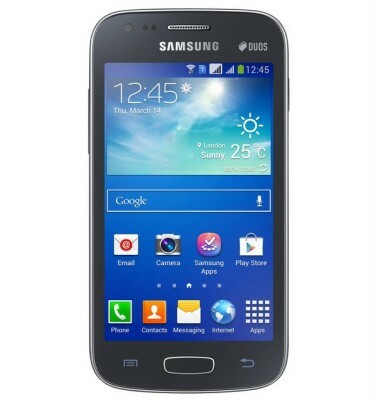 The Galaxy Ace-3 is already listed on many online retailers stores. Samsung handsets are very well known and famous for its quality, durability and some times affordability. The Ace 3 will compete with Galaxy Grand (hands on ). The ACE3 Duos would also compete with Micromax canvas HD A116, Panasonic T21, Gionee Elife E5, Micromax canvas 4 A210 and Lava iris 504Q (review coming soon). The device draws the strength form 1Ghz dual core cortex A9 processor. The Samsung Galaxy Ace 3 has 4 inch touch screen display with 480×800 pixels resolution. At the back of the device there is 5-megapixel auto-focus camera with LED flash and a 0.3MP camera at the front. The smartphone has 1GHz dual core processor with 1GB of RAM, 4GB of ROM (internal memory) and runs on Android 4.2 Jelly Bean operating system. The Ace3 supports Dual SIM (micro), 720p video playback, up to 64GB micro SD card slot and houses 1500mAh battery that offers 8 hours of talk time on 3G network. Samsung Ace 3 features 3G HSPA 14.4Mbps/5.7Mbps, WiFi 802.11 b/g/n 2.4GHz with Wi-Fi direct, Bluetooth with A2DP, GPS with GLONASS. The handset is 9.7mm thick and weighs 115 grams. 3G, WiFi 802.11 b/g/n,GPS with GLONASS, Bluetooth. Samsung Galaxy Ace3 Duos comes in Black color and would soon hit the Indian market.